The Frank Freidel Memorial Library is an outstanding story of German-American cooperation and generosity. The Library consists of the initial collection put together in 1997 and since then of a steady flow of new acquisitions. The guiding spirit and driving hand behind the creation of the Library has been Professor Hartmut Keil. He conceptualized and organized the effort to erect an "American-style" university library in Leipzig. That is to say, open stacks, or direct access for students and scholars, and a simple and straightforward Library of Congress filing system. 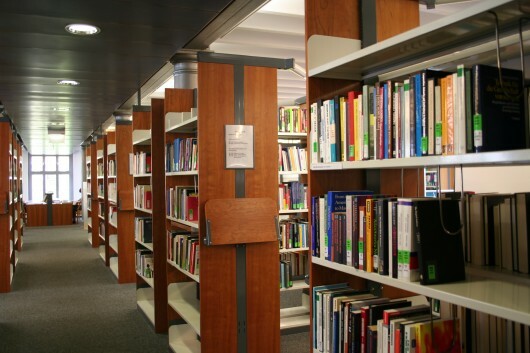 Such a library is much easier to use, and a major assets for students and scholars. The "backbone" of the library is the singularly generous donation by the Freidel Family of several thousand volumes for the American Studies Library at Leipzig, thus leading to the name of the Frank Freidel Memorial Library in honor of the highly distinguished historian from Harvard, Frank Freidel, who had assembled for his private library a very large collection. But it was also the noteworthy acts of generosity of others that made the library finally possible. With the help of students and staff, for example, Prof. Keil sent out more than 2,000 letters to colleagues in the United States asking them for donations of books and materials to help. The response came from across the country and involved thousands of donated volumes. The German side of this story was also highly generous. The German Historical Institute in Washington DC played a key role in helping assemble the book donations, and organize for their transportation back to Germany. This was finally carried out by the German Airforce (Luftwaffe) from Dulles International Airport to Cologne, and the German Airforce even transported the books (via truck) to Leipzig. As Professor Hartmut Keil has noted pointedly, it was like a "second Care Package Wave," this time with "Intellectual Food". Today the Frank Freidel Memorial Library exists as an outstanding resource for students and scholars, and continues to expand. A library is best, if you know how to use it. That is why all entering classes get an introduction into the library's resources by our head librarian Dr. Sophia Manns-Süßbrich. American Studies students who need help with more advanced research problem can contact her directly. 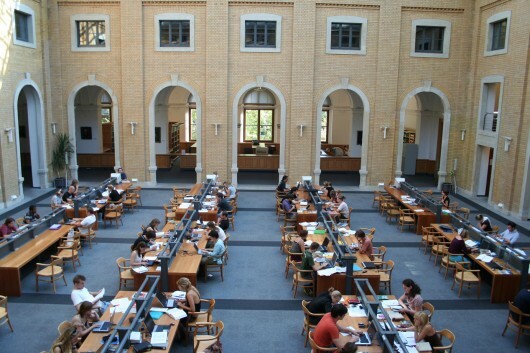 In addition, American Studies Leipzig is one of the first German university institutes to ask the student body to join in planning upcoming acquisitions. If your login with this page is registered as "current American Studies student" you can suggest items to the Frank Freidel acquisition list. (Please understand that we can only offer this opportunity to our registered students. To find out how to register your login as "current student" see this overview). In 2007 the Freidel Library celebrates its 10-year jubilee. As part of this commemoration, American Studies Leipzig introduces the Frank Freidel Library Fellow in Residence Program. This is meant to allow scholars from around the world to enjoy the unique resources of the Freidel Library. The first Fellow in Residence was Professor Madeleine Vala from the University of Puerto Rico. The Second Fellow in Residence was Professor Paule Lee. 2008: 613 Volumes. See a list of the volumes or refer to the ODS file attached below. 2007: 602 Volumes. See a list of the volumes or refer to the ODS file attached below.